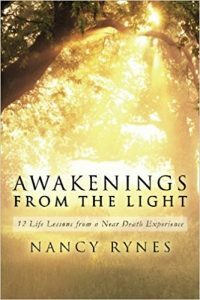 Nancy Rynes is a spiritual explorer, making the path to a love-filled life clearer for seekers the world over. Nancy is a leading voice for personalizing the wisdom of Near Death Experiences (NDEs), developing our heart-centered intuition, and living a life of inspired creativity. Known for her fun, lighthearted, girl-next-door demeanor, Nancy teaches others how to live a more purposeful, joyful, and Heaven-inspired life. Nancy was raised in the Catholic faith but turned away from those teachings in her early 20s. As a scientist, science writer, and corporate trainer, for over two decades Nancy aligned herself with the skepticism prevalent in so much of the scientific community. She remained an atheist until her life-changing bicycling accident and near-death experience (NDE). Now, Nancy is an avid spiritual seeker as well as practitioner of compassion, kindness, contemplative prayer, and being the change we wish to see. Drawing on Heaven’s transformational wisdom learned during her own NDE, she integrates the teachings of love, compassion, kindness, gratitude, and joy that form the foundation for a contented, meaningful life. Nancy believes that the road to true happiness starts with acting in love and gratitude: loving ourselves for who we truly are, loving others for the spark of Divinity they each hold inside, and showing gratitude for our lives by living our core truths as fully and abundantly as possible. Her book Awakenings from the Light dives into these and other topics, giving the reader concrete examples of how to make Heaven’s wisdom a very real part of life on Earth. 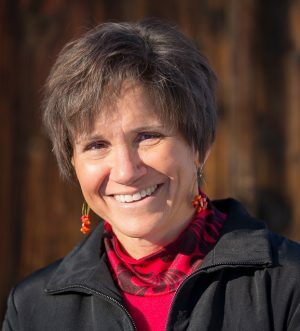 Nancy Rynes has been a featured speaker at the IANDS Annual Conference, the “Shifting Your Reality” Conference, and with Eben Alexander at The Vail Symposium. She has also appeared on many radio programs including We Don’t Die, AngelHeart Radio, Moments with Marianne, Stargate Roundtable, IANDS NDE Radio, Heavenly Encounters Radio, and SoulfullPreneur Radio. Nancy’s writing has been featured in Bella Spark Magazine and Journal of Exceptional Experiences and Psychology.